Rural Rhythm Records has announced the new single from Bill Emerson and Sweet Dixie. Written by Dr. Peter Ruckman, the single “What A Day” is from the new Bill Emerson and Sweet Dixie album The Gospel Side of Bill Emerson and Sweet Dixie is scheduled for release on CD and digital formats on September 18th. Called a “Banjo Legend” by the Washington Post, Bill Emerson is arguably one of the most influential musicians in Bluegrass music and certainly shines on the new single “What A Day” which includes Bill Emerson on banjo; Linda Lay on bass; Shelby Gold on fiddle; Tom Adams on guitar; Jimmy Gaudreau on mandolin. Linda Lay and Shelby Gold also take up the lead and harmony vocals. “What A Day“, and the rest of the songs on the new album, are now available for DJ’s to download on Airplay Direct and included on the new Rural Rhythm Fresh Cuts & Key Tracks Radio CD. 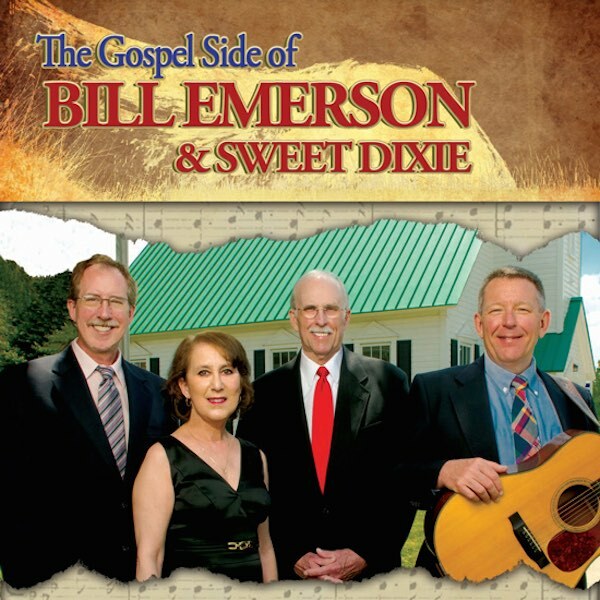 The Gospel Side of Bill Emerson and Sweet Dixie is Bill’s fifth album for Rural Rhythm Records which also includes his solo album “Eclipse” from 2011. The new album contains 12 gospel songs including nine gospel songs from previously released albums by Bill Emerson and Sweet Dixie and three newly recorded gospel songs for this album, “What A Day”, “Fifty Miles Of Elbow Room” and “Drifting Too Far From The Shore”. The list of songwriters on this Gospel album is very impressive and contains some the top songwriting talent past and present including Pete Goble, Carl Jackson, Tim Stafford, A.P. Carter and Charles Moody. The Gospel Side of Bill Emerson and Sweet Dixie is an acoustic blend of traditional and contemporary Bluegrass and classic Country featuring powerful lead vocals by Sweet Dixie members Tom Adams, Teri Chism, Wayne Lanham and Chris Stifel along with special guest lead vocals Wayne Taylor, Randy Waller, Linda Lay and Lauren Mears. Bluegrass and Gospel music have gone together so strongly since the beginning of Bluegrass music andThe Gospel Side of Bill Emerson and Sweet Dixie is an excellent example of this power blending. Beginning in 1957, Bill Emerson established himself as a banjo virtuoso and history maker alike. He was a founding member of the famed Bluegrass ensemble The Country Gentleman and billed as a featured artist while with Jimmy Martin during the height of that Bluegrass legend’s career; the man who introduced the classic “Fox on the Run” to bluegrass; and was the founder and shaper of Country Current, the world renowned Bluegrass ensemble of the United States Navy Band.